LiftLab claims that this multi-active serum will both reduce the appearance of wrinkles as well as prevent them from forming. 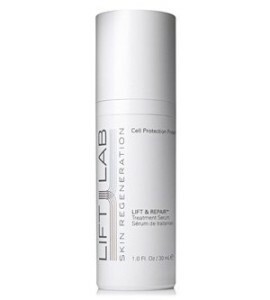 According to LiftLab, continued use of the product will also repair damaged skin, and help to prevent further damage from things such as free radicals. Cell Protection Protein: This protein has been clinically proven to protect the cells from further damage (hence the name) as well as promote the production of both collagen and elasticin. The list of ingredients for this particular cream is unique, as this cream offers several ingredients we have not seen in similar anti-aging creams, such as the Cell Protection Protein. The scientists and inventors behind this anti-aging cream have genuinely outdone themselves, with each new ingredient backed by scientific evidence to guarantee that it will assist customers in fighting wrinkles and other skin problems, such as redness and skin damage. This product also contains several vitamin and antioxidants that are effective in preventing wrinkles and promoting healthier skin overall. We would strongly encourage all potential customers to take some time and browse the company’s website as they attempt to decide which anti-aging cream is the best for them. While we were impressed by the ingredients, we cringed at the price. One hundred sixty dollars for one ounce is a bit much, particularly if there is not a money back guarantee offered. For that reason alone, we would recommend giving similar products that do offer a money back guarantee a chance before spending over one hundred dollars on one product. On the other hand, if you’re earning an income that is far above average, and have no qualms at spending that much, we have no doubts about the effectiveness of this anti-aging cream.